The cortex is a massively interconnected network of neurons that generates perception and action. 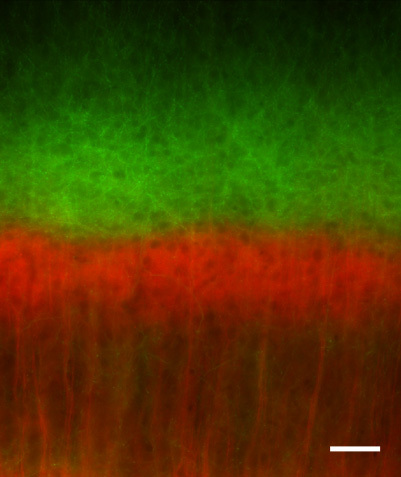 Our research takes a bottom-up approach to understanding how these neural circuits are functionally organized and how dysfunction in these circuits contributes to neurodegenerative and neuropsychiatric diseases. Our lab is focused on understanding the functional organization of neocortical circuits and their role in neurodegenerative and neuropsychiatric diseases. Visit our Research interests page to learn more. Visit our People section for information on current and past lab members and our News section for the latest lab news. The Brown lab is currently accepting applications from interested postdoctoral fellows, graduate students and undergraduate students. Visit our Opportunities section for more details. Interested applicants should email spbrown@jhmi.edu.